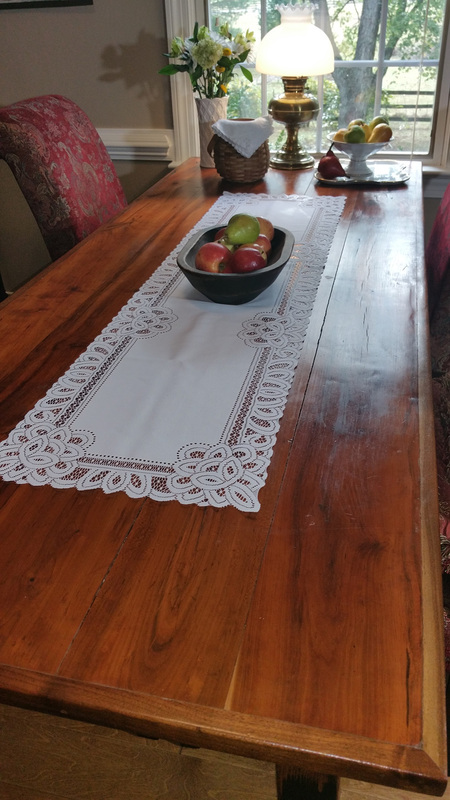 This Battenburg style table runner is made of easy care polyester and measures 14 x 54. It's not old, but isn't it pretty? 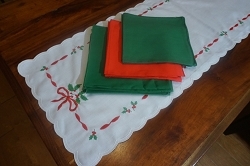 It was in a box of linens I got at auction and when I put it on the table to take a picture I was surprised at just how nice it looks!